Home – News – Latest News – Beat the Easter Skip Hire Rush! Spring cleaning is as synonymous with the Easter Bank Holiday as chocolate eggs and bunnies, and with four days holiday on the horizon, there is no better time to think about having a major tidy up and getting rid of unwanted rubbish. 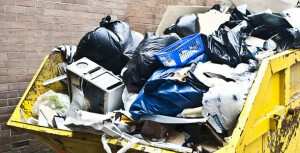 If you are planning an Easter clearance at your home, you could benefit from hiring a skip. Nobody wants to waste precious time driving up and down to the local tip, and a skip is the ideal convenient alternative that will save you time and effort. Whether you are thinking of tackling a spot of long-awaited DIY, giving the garden a much needed overhaul or simply de-cluttering your living spaces, skip hire represents the perfect solution. Our large range of skip hire options provides a wide range of sizes available, so you can be confident that whatever the size of your home clearance project, there is sure to be one in the right size to accommodate your need. Because skips can fit easily on your drive or in front of your home (read our FAQ’s for any help! ), hiring a skip for your spring cleaning is stress-free and easy-to-do, and removes the hassle of consuming times driving up and down to the household waste recycling centre. Whether you are binning old clothing, household odds and ends, waste paper and card, or garden trimmings and clippings, there is no need to worry, our helpful and friendly team are ready today to lend you a helping hand. Spring cleaning is never a fun task, but hiring a skip can simplify the process and makes getting rid of junk a much less stressful experience, meaning that you can enjoy a productive and hassle-free Easter weekend. For further information and quotations, simply call our team directly via 01280 851 081 or send us a quick and easy message via our online contact form.